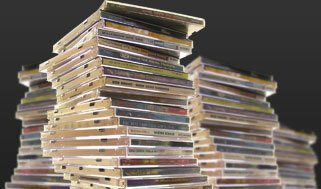 Is your music library a mess? Movies missing artwork and and other information? Get MediaMonkey and get organized. Manage small to large collections of audio files, videos and playlists (100,000+), whether on a hard drive, network, or CDs. Rip CDs, download podcasts, lookup artwork and other missing information online, tag almost any audio or video format, and automatically rename/re-organize files on your hard drive. Sync music and video to your iPod, iPhone, iPad, Android device, or most any other MP3 player; share with most any UPnP / DLNA player; and let MediaMonkey convert unsupported formats on the fly. You or your guests can choose music, while MediaMonkey's Jukebox secures your collection, normalizes volume levels, and kicks in automatically with music and playlists based on your criteria. Customize with Skins, plugins, visualizations, and hundreds of user-written scripts that extend MediaMonkey's functionality. Record CDs and download music, movies, and podcasts. Automatically lookup and intuitively tag album art, lyrics and other metadata. Manage any audio / video genres: Rock, Classical, Audiobooks, Podcasts, Home movies, tv, etc. “The Best Music Management Software for Windows 10.” — the sweet bits, July 2018. “One of the best music organizers of 2018.” — Nairatips, 2018. “Go ahead--download MediaMonkey, organize your songs, grab someone special, and press play.” — DatingAdvice.com, 2018. “For users who are looking for a powerful program to manage their large media libraries, MediaMonkey provides a comprehensive range of features that cover virtually any media situation imaginable.” — SoftwareHow, July 2017. “MediaMonkey is an excellent audio suite that comes packed with powerful features...Brings order to even the messiest of collections ” — PC Advisor, July 2017. “MediaMonkey's greatest asset is in getting media files organized, so they can be used across Apple and Android devices... ” — Adaptive Arcade Annex, February 2016. “MediaMonkey is one of our favorite music players on Windows for its insanely powerful music management — and now that same power is available on Android. ” — Lifehacker, April 2014. 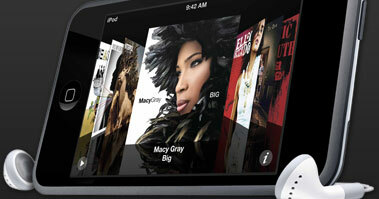 “If you want get rid of iTunes to sync your iOS devices, the best alternatives is Mediamonkey. Simply connect your device and the program will automatically detect your device. It supports almost all Android smartphones, tablets, Apple iPhone, iPad and iPods. ” — The Tech Hacker: Review, July 2014.